I haven’t posted much in the last year, largely because I haven’t done much. The day job, working on the ProtoThrottle, finishing up my father’s estate and trying to get my mother comfortable with being on her own have consumed much of my life. I have finished up the smelter complex yard and made some other minor progress elsewhere, but I’ll post separately about that. As a warning, all of the images linked here are quite large, so that you can blow them up and get down to the finest detail. 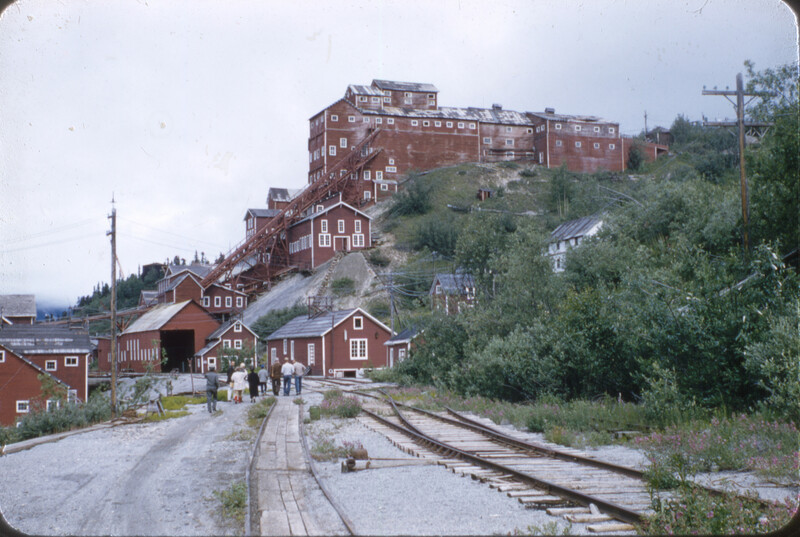 A recent acquisition off eBay was this old slide of the Kennecott Mill, taken by an unknown visitor on July 7, 1957. 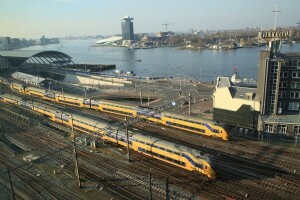 Overall, the site looks very much like it did when the last train pulled nearly 19 years earlier. The mill building is all there, including the long ore chute trestles from the upper reaches of the mill straight to the sacking house (where the rail cars were loaded). The electrical shop is also still there (the building between the sacking house and the little depot hiding in the trees). The tracks are in (including the 3ft gauge service tram line), the window glass is still there, and the upper floor of the mill, where the ore was received from the tramways, is all intact. 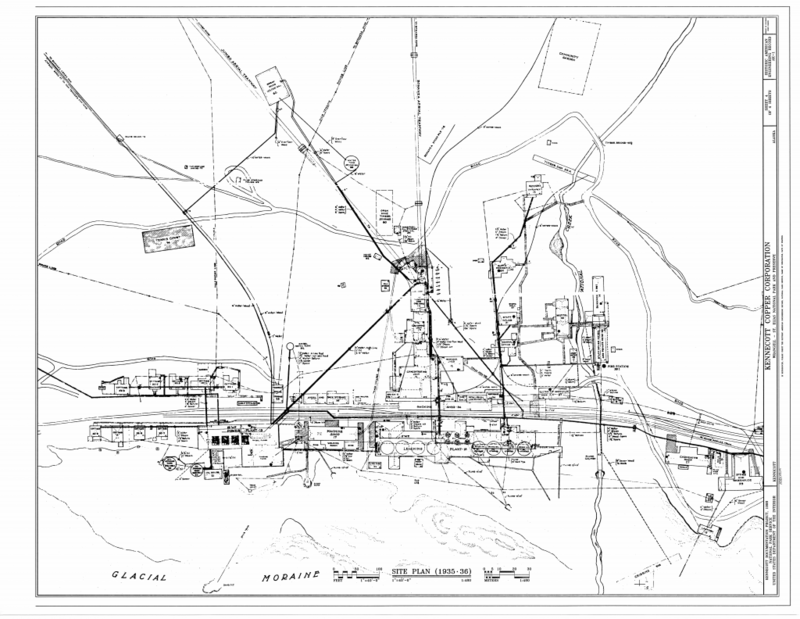 I’ve also included the 1935-1936 site plan from the Historic American Engineering Record files on Kennicott, so that you can use the map to identify the various structures visible and get your bearings. The next available photo I have from roughly the right angle dates from 2004, when my grandfather Harold Bryant visited Kennicott. By this time, the tracks and power lines are gone and National Creek Trestle is looking a bit rough. The roof on the leaching plant (the building in the foreground on the left side) is in rough shape, and the electrical shop is gone. The ore chutes are looking a bit rough, but there’s scaffolding so it appears they’re working on the issue. In addition, the vegetation is a bit out of control on the right where the shop would have been. 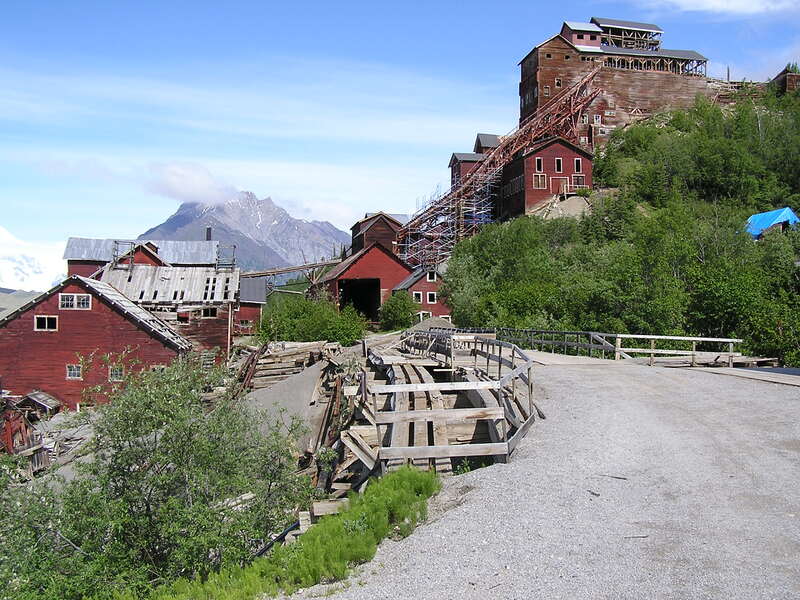 The Kennecott Mill site in 2004, taken by Harold Bryant (my grandfather). And finally, here’s a look during my visit back in September 2015. The National Creek trestle as seen in my grandfather’s shot was washed away in a flood in 2006, and was subsequently replaced with a modern but reasonably accurate facsimile. Honestly getting at least 70 years of service out of a trestle isn’t bad. On the plus side, the general office building has been restored (seen under the blue tarp over the trees in 2004), and the chute from the mill to the leaching plant seems to be in better shape. The depot also has a fresh coat of paint. The leaching plant itself, however, is in just as bad of shape, and the ore chutes from the upper parts of the mill have been truncated strangely. 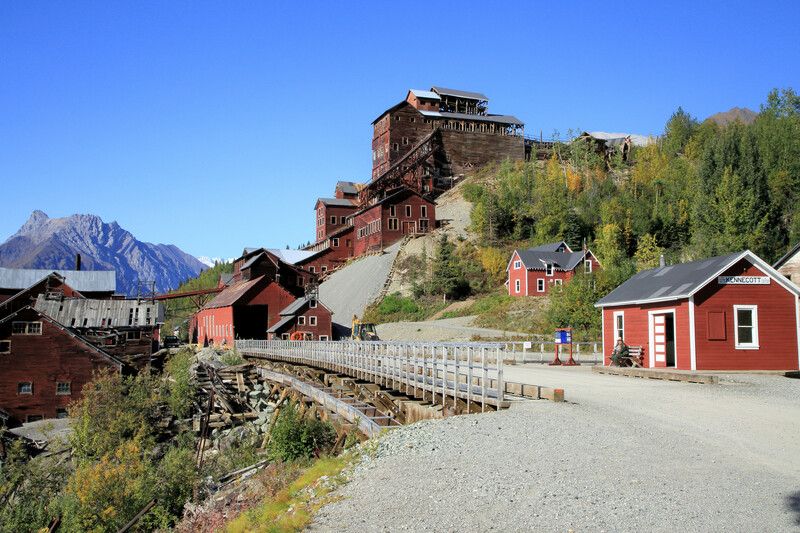 The Kennecott Mill site, as seen during my last visit in early September 2015. I realize the park service has limited resources, and they do a pretty good job for a large government bureaucracy with a relatively small budget, but looking back 60 years makes me realize how much of a different feel the site has today as opposed to sixty years ago. This entry was posted in Uncategorized on October 14, 2018 by ndholmes. Not really wanting to do anything I should be doing tonight, I installed switch machines and track power between the south siding switch Alaganik and the south siding switch Eyak. The boxes in the back are mock-ups for some parts of the smelter complex. This is the area that flooded in July 2016, so I haven’t gotten around to putting everything back and working out the yard layout again. I have a few pictures on my phone of the original arrangement, so I can probably figure it out again. Oh well, a project for New Years Day, possibly. Here’s the first train, sitting just short of the South Eyak control point. Yes, I’m running a BNSF GP60 and some Superliners. Totally not equipment I’ll ever get to run on the CR&NW, but stuff I have because I like the prototypes. This entry was posted in Uncategorized on December 19, 2017 by ndholmes. At long last, I’ve finally had some time to get back to the layout. Over the last 16 months, work has kept me on the road almost continuously. Also, since I last posted, I’ve had other various calamities taking my time – most notably as far as the railroad’s concerned, baseball and softball-sized hail destroying two of my cars and the entire south side of my house (July 28th, 2016). Unfortunately one of the broken windows was into the basement, allowing torrential rain and some truly epic hail through, damaging some of the benchwork and generally flooding the basement. I was supposed to leave to Memphis the next day, so I pretty much vacuumed up the water, dried off the benchwork, replaced the window glass, set up some fans, and shut the door. And that was it. That was the last time the layout was even powered up until about a month ago. However, winter’s nearly here, work is settling down a tiny bit (though again, I’m writing this on a flight back from Amsterdam), and I didn’t really want to do anything I *should* have been doing. Plus, the other half of Iowa Scaled Engineering – Michael Petersen – needed somewhere he could test our new Proto-Throttle that had a full-on NCE Power Pro system. So, I dusted off a few things, cleaned the track, and brought my happy tiny universe back to life. 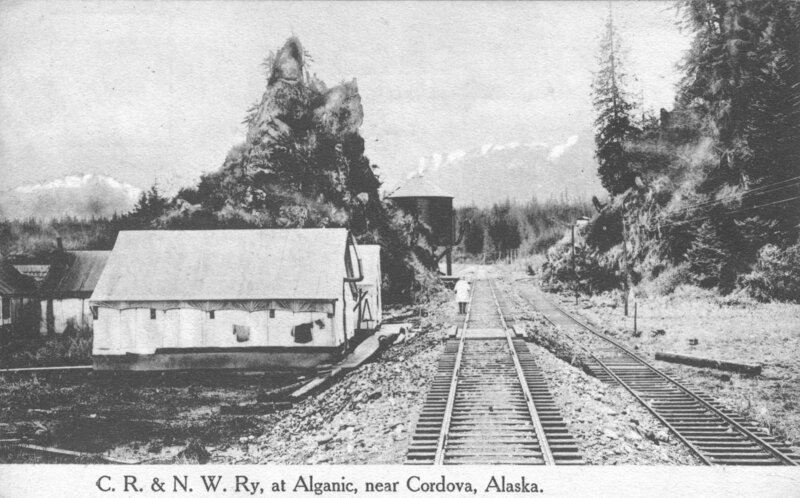 The good news is that mainline rails have now been extended from Alaganik through the airport (Merle K. “Mudhole” Smith Airport – aka CDV – which was built by the Army Air Corps in WWII on the former right of way) up to the south siding switch of Eyak, where the siding comes back in before the Eyak River bridge. As far as I know, there was no actual siding at Eyak. Quite frankly, it was too close to the north/east end of the Cordova yard to justify a siding on a railroad with so little traffic. However, in my modern day version, it’s a place to stash inbound trains while the yard is busy, or give the Eyak smelter switcher somewhere to get out of the way while mainline traffic passes. Now the downside… I had the entire smelter complex laid out with boxes sized for the structures and paper track templates. It, unfortunately, was right below the broken window and had an actual torrent of water flowing over the plywood. So all of that planning? On the floor in a jumbled order. I now need to go back and figure out what I’d planned, as it was significantly different than what’s on the initial paper track plan from three years ago. In the spirit of construction, I’ll leave you with this image of the CRNW under construction. This is at milepost 143, or about 3 miles west of Strelna. 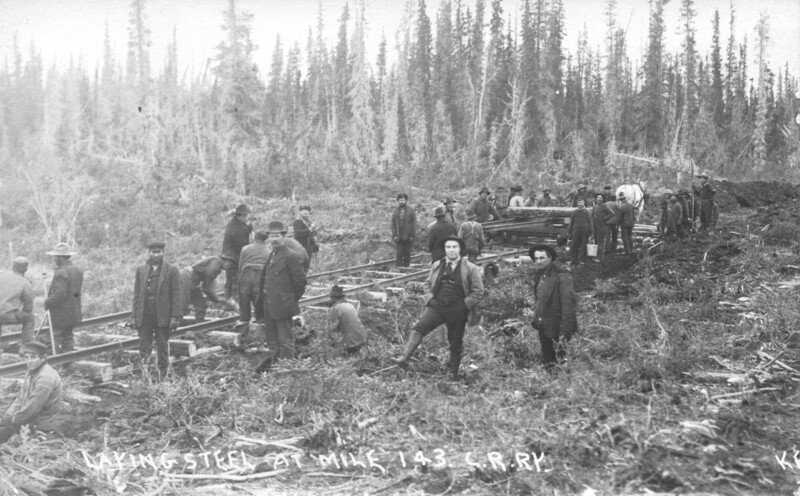 For a railroad that built such immense and durable features as the Miles Glacier or Kuskulana bridges, it’s really fascinating how lightly graded and constructed the initial construction of the track really was – particularly on the Chitina-Kennecott section. Other construction photos down towards Cordova show a gravel base under the tracks, whereas this seems to be “scrape some dirt and throw down some ties”. This entry was posted in Uncategorized on December 3, 2017 by ndholmes. In between chores around the house, I spent some time this weekend getting the power and data run to Alaganik. Track power and detection has now been extended from Katalla Junction down to the south siding switch Alaganik. Track is still complete to nearly Eyak – I haven’t done anything on that in several weeks now. I’m hoping to spend some time with the signal system in the coming weeks, as well as get the mainline extended all the way into Cordova. Much of that shall depend on how much spare time my job allows me. In celebration of that, I thought I’d share this old postcard view of Alaganik (apparently sometimes spelled Alaganic by some in the early days). This entry was posted in Uncategorized on June 12, 2016 by ndholmes. So I got out a little camera I had lying around tonight, built a photo flat car out of an old flat and some six wheel passenger trucks, and put a couple GP38-2s to work pushing it around the layout. 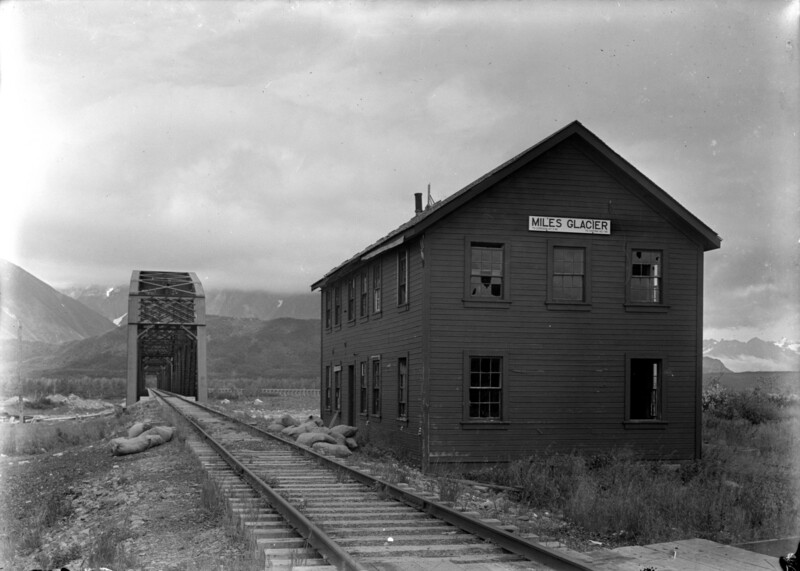 The track is in from the Kennecott Mill all the way down to Eyak, but it’s only powered as far as Katalla Junction right now, so that’s as far as we went. Come imagine for a moment that you’re on the back of the CRNW’s business car with me, traveling the “Plywood Pacific” that is the CR&NW as it currently exists. Forgive the basement mess, it’s been a very active construction zone for weeks now, and as such is a bit of a disaster. This entry was posted in Uncategorized on June 10, 2016 by ndholmes. There have been few posts lately because, honestly, I haven’t had the time. My day job has involved a tremendous amount of travel to Europe over the last six months for something we’re working on, and I’ve barely been home. That doesn’t mean I haven’t gotten any railfanning done, or spent time thinking about the CR&NW, but when it comes to laying track and wiring things, progress has been humble at best. At long last, it looks like I might be home for three weeks in a row, so I’ll try to get an update posted in the next day or two detailing the progress that’s been made and where we’re going next. This entry was posted in Uncategorized on May 18, 2016 by ndholmes. Here’s one of my recent acquisitions – an old glass plate negative clearly showing the two-story station at the Miles Glacier Bridge. There’s no information with the negative, but the busted windows show that the building hasn’t been used recently. 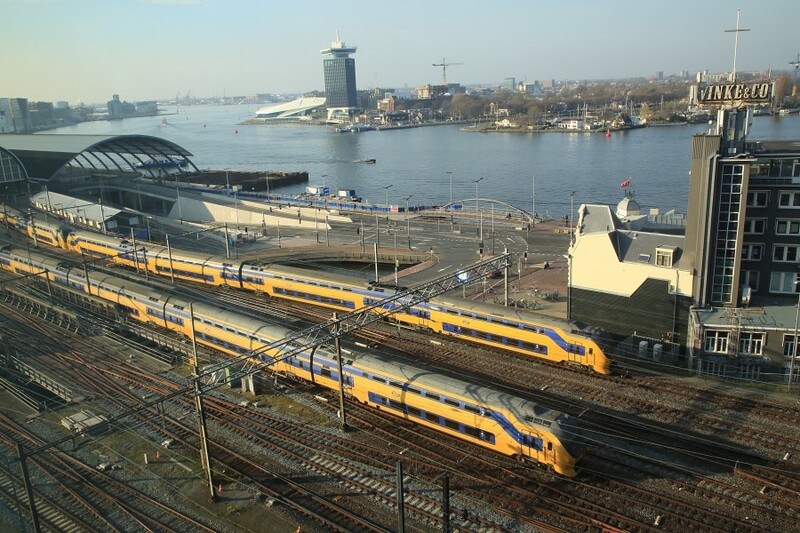 The lack of overgrowth and generally good alignment of the track structure, however, suggests that this was either very near the end, where trains were infrequent, or shortly after abandonment. USGS photos in the mid-1950s show the building gone by that point, even though the track was still present. The other key question would be why such a large structure? No other CR&NW structure I’ve ever seen was a fully two stories. The Chitina depot had a second floor, but the second floor was basically the usable portion of the attic under the roof and was thus significantly smaller than the main floor. My only guess would be that this was a combination station and section house, unlike other locations where the station building and the section house were distinct structures. Given the notoriously deep snows in the Copper River delta, it could be cut off for weeks at a time. Also, having everything inside a single structure would be advantageous as you wouldn’t have to dig your way through 10-15 feet of snow to the tool shed, the kitchen, etc. If anybody has more details about the Miles Glacier station, I’d love to hear them. This entry was posted in Uncategorized on December 17, 2015 by ndholmes. 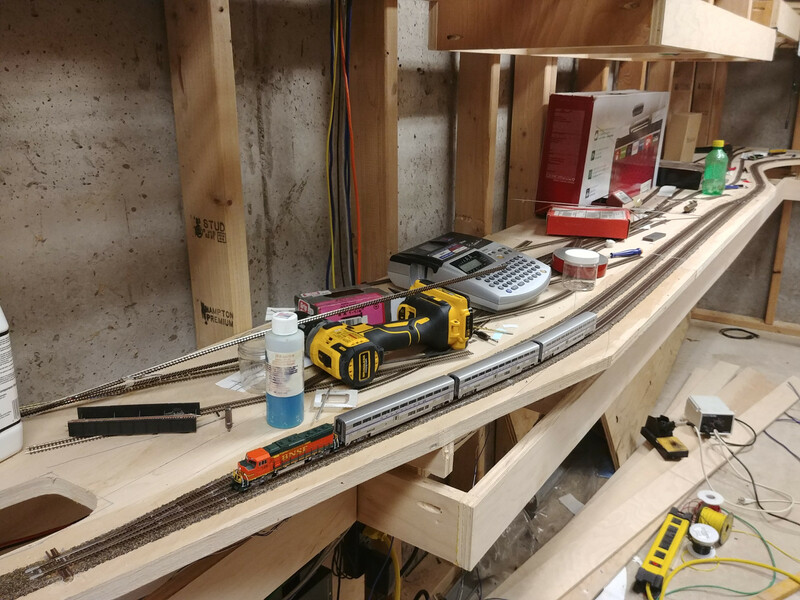 It’s been a while since I’ve had much time to work on the layout, but I decided after a mind-twisting week of meetings in Memphis it was time to get back to the basement and do some work. Chitina is coming together. So far, I’ve got the mainline, the front and back sidings, the enginehouse leads, the wye, and some of the industrial track down. 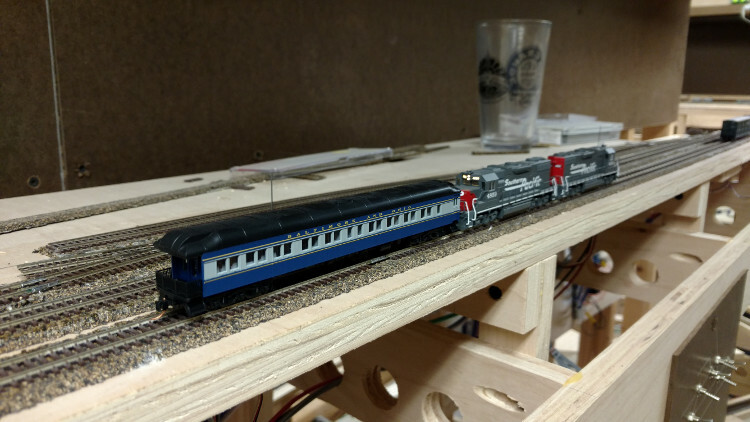 I spent most of yesterday and today doing the electrical work – extending power from the main electrical panel, installing track feeders and sub-buses, putting in block detectors and the auto-reverser, and starting the installation of some of the switch machines. The track is pretty dirty, but at least it’s now all electrically hot (and held together with more than alligator clip leads). Pictures later this week, I hope, along with an explanation of my Chitina and how it was derived from the historic version. This entry was posted in Uncategorized on December 13, 2015 by ndholmes. 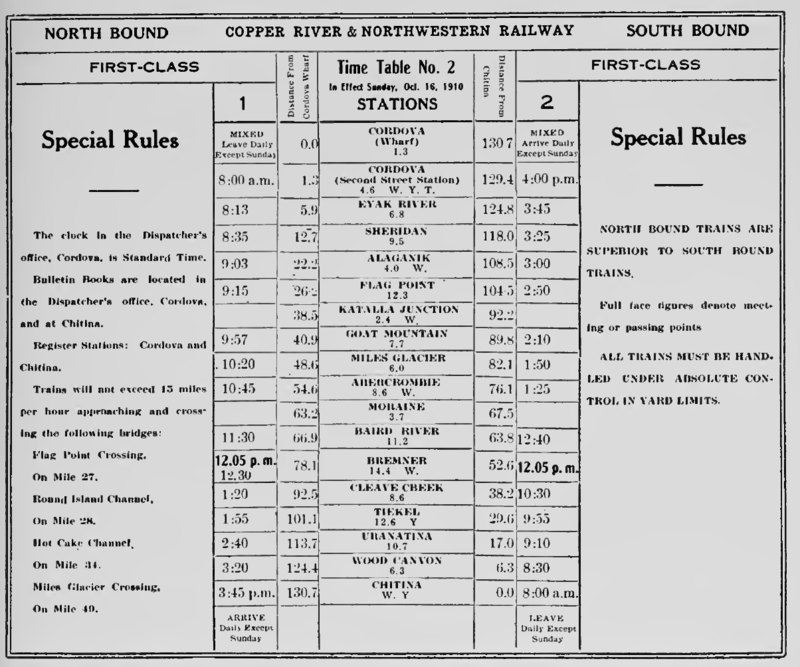 I’ve often found myself wondering about elements of the CR&NW’s history, and wishing there were some email list where I could interact with other folks interested in the line. Many other railroads – current and historic – have fan and historian email lists, so I figured why not create one? For those interested, I’ve created a Yahoo list – you can join here. This entry was posted in Uncategorized on September 25, 2015 by ndholmes. After six years, I’m finally getting the chance to return to the upper end of the CR&NW. Tomorrow morning I’ll be leaving from Whitehorse, and will be spending the a good part of next week between Chitina and Kennicott. This entry was posted in Uncategorized on August 30, 2015 by ndholmes.